Scented oils are used for much more than sweet smelling aromas around the home and on the skin. 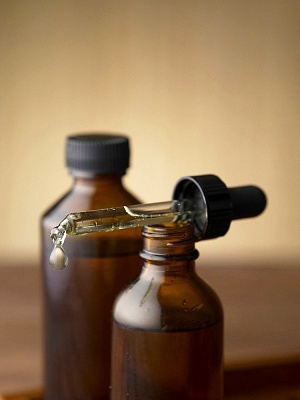 In alternative medicine, some essential scented oils are used to improve health or treat certain health conditions. When choosing scented oils during pregnancy, it is important to understand which oils are considered safe for use during pregnancy and which should be avoided until after giving birth. Safe essential scented oils include: chamomile, geranium, jasmine, lavender, neroli, patchouli, sandalwood, ylang-ylang, frankincense and rose. Each provides a different source of energy, revitalization or calming. Ylang-Ylang, for instance, typically calms the body and mind. This essential scented oil could be used to fight off insecurities and anxieties during pregnancy. Fennel – Believed to increase estrogen levels. Increased estrogen levels can cause preterm labor or miscarriage. Clary Sage – May alter flow of blood between mother and placenta. May also trigger early contractions. Sage – Has been used in alternative medicine to cause labor. It is believed safe can change hormones levels in the body to mirror changes that occur during the natural labor process. Hyssop – Associated with seizures in pregnant women and disruption of fetal neurological development. Rosemary – Increases heart rate. As a stimulant, this scented oil is especially dangerous for women suffering from high blood pressure during pregnancy. Many pregnant women do not think twice about applying scented oils to the skin or burning them in the home. In certain cultures, scented oils are used to evoke hallucinations and other neurological effects during prayer ceremonies. These same oils may smell fantastic on the skin or in the home, but are not safe for a pregnant woman.